Eileen Truax has taken one of the most important and hottest themes of this generation -- immigration reform -- and given it a face, actually faces. Like Nancy who worked for the government in California and one day on her way to work got pulled over and deported to Mexico, where she knew no one and only had $40 to her name. Daniella with "Dream" written on her sneakers taking part in a civil disobedience sit-down in Phoenix with a wall of cops towering over her. And, Joaquin who died as his dream of being a successful architect died. 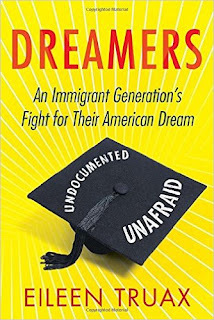 DREAMERS (Beacon Press) is an emotional, passionate and informative book. 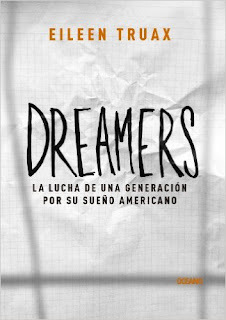 It's not about statistics or policies; this book is about 10 young adults and how they are fighting for a future in the only home they've ever known -- America. Eileen asks everyone who reads her book to keep an open mind. 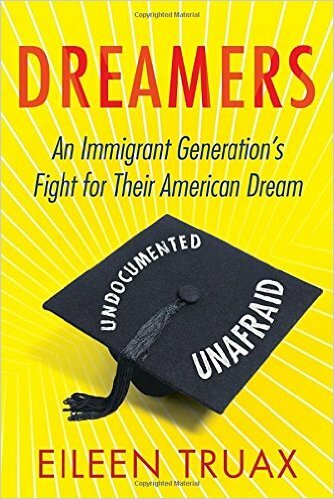 Yes, six out of ten of the Dreamers are Mexican, but they are certainly not the rapists and gangsters that scare Donald Trump. These are promising young "Americans," who for lack of government recognition and a social security number find it difficult to go to university and get a decent job. But these Dreamers are no longer standing still. They are educated, organized and determined to be heard and to affect change. They are “Undocumented, Unapologetic, and Unafraid." And, thanks to social media, their experiences, frustrations, and successes are well publicized and documented. 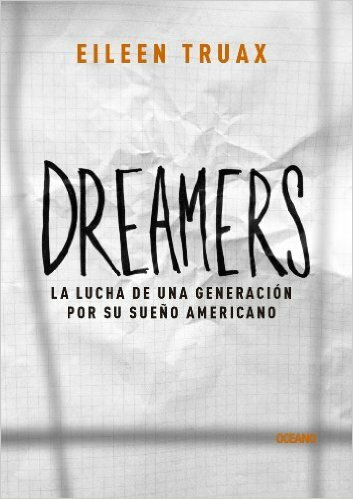 Also, thanks to social media, the Dreamers are uniting nationwide and as they become stronger, the government is going to have to respond. Let's just hope that it's sooner rather than later. NOTE: This book is also available in Spanish. ABOUT THE AUTHOR: Originally from Mexico, Eileen Truax is a journalist and immigrant currently living in Los Angeles. She contributes regularly to Hoy Los Angeles and Unidos, and writes for Latin American publications including Proceso, El Universal, and Gatopardo. Eileen often speaks at colleges and universities about the Dreamer movement and immigration. Visit her Spanish blog by clicking here.